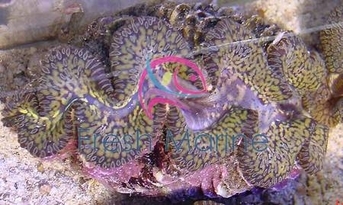 https://sep.yimg.com/ay/yhst-33477391359232/maxima-clam-colored-tridacna-maxima-6.jpgMaxima Clam Colored - Tridacna maxima Expert Only!!! Not Cover Under Arrive GuaranteedPeacefulYesCalcium, Trace elementsIndo-Pacific, The Great Barrier ReefTridacnidaeSmall 1" - 2"
Taxonomy: Maxima Clam Colored belongs to the Kingdom Animalia, Phylum Mollusca, Class Bivalvia, Order Veneroida, Family Tridacnidae, Genus Tridacna and Species maxima. Scientific names: The scientific name of Maxima Clam Colored is Tridacna maxima. Other common names: Maxima Clam Colored is commonly known as Holy Grail of Reef Aquariums, Wild Ultra Blue Maxima, Ultra Maxima Clam, Great Clam and Rugosa Clam. Origin or natural range: Tridacna maxima originates from the Indo-Pacific region including Oceania and the Marshall Islands. Size: Maxima Clam Colored grows up to a width of around twenty inches. Color: Tridacna maxima occurs in electric Blue, Black, White, Yellow, Purple, Gold and Green colors. Aggression: Maxima Clam Colored is non-aggressive towards the marine aquarium invertebrates. Venom status: Tridacna maxima is non-poisonous in nature. In its natural habitat, Maxima Clam Colored is generally found in groups in the shallow water regions, or at a depth of around forty-five feet in the marine water body it inhabits. Tridacna maxima is found on reef tops anchored to sand or substrate with the help of its byssus filaments. Hardiness: Maxima Clam Colored is moderately hardy. The mantle of Tridacna maxima is its most striking body part because of its varied colors and patterns. The two shell halves are long and asymmetrical owing to which Maxima Clam Colored is also called Tridacna elongata. The upper sides of the shells have scales. Tank type: To host Tridacna maxima, you should have a well established Reef Type Marine Aquarium. Aquarium set-up: Keep ample rocks or corals, rock caves, Live Rock and sand or rubble in your marine aquarium for Maxima Clam Colored to anchor in. Water flow in the aquarium: Tridacna maxima needs strong water current in the marine aquarium hosting it. Maxima Clam Colored requires high intensity lighting in the marine aquarium it inhabits. High intensity halide, VHO or Power Compact lighting are recommended for Maxima Clam Colored. Aquarium placement: Place Tridacna maxima anywhere between the middle level to the lower level on the rockwork in your marine aquarium. Just place it properly so that it does not fall off. Placement on sand will also do. Diet: Maxima Clam Colored is Planktivorous in feeding habit. Food content: Tridacna maxima mainly derives its nutrition mainly through photosynthesis, which is performed by Zooxanthellae, a photosynthetic algae living symbiotically within the mantle of the clam. Maxima Clam Colored also filter feeds upon Phytoplankton. Supplements: Add Trace Elements, Strontium, Iodine and Calcium to the tank water as the health supplements for Tridacna maxima. Maintain the Calcium level between three hundred and fifty milligrams and five hundred milligrams per liter of tank water. Maxima Clam Colored is difficult to maintain. Blennies, Clown Gobies, Butterfly Fish, Shrimp and Angelfish may attack Tridacna maxima. Therefore, do not keep these aggressive marine invertebrates and the clam in the same marine aquarium. The brightness of color, the growth and the life of Maxima Clam Colored are directly proportional to its exposure to the intensity of lighting. Fluctuations in the pH level in your marine aquarium may give pH shock to the Tridacna maxima therein.